Spartanburg Water hopes that this section of the website provides you with a better understanding of our Sanitary Sewer System, and how it helps improve many different facets of our community. We are fortunate to live in a country where the highest standards are held for sanitation. Many third-world countries are rated as such because they lack access to clean drinking water and sanitary sewer systems. Spartanburg Water owns and operates a vibrant network of wastewater treatment facilities throughout Spartanburg County, strategically located to provide service and growth opportunities for the community, whether you live in Pacolet, Landrum, Reidville, Boiling Springs or the City of Spartanburg. Wastewater from homes and businesses travels through 940 miles of sewer lines to get to our treatment plants. Our Wastewater Collection Department is responsible for operating and maintaining the sewer system, including cleaning manholes, conducting smoke and dye testing to reduce infiltration and inflow, and other corrective and preventative maintenance activities. The Reclaimed Water Treatment Department is an important part of Spartanburg Water’s mission to provide the Spartanburg area with safe, clean water. The primary function of the Reclaimed Water Treatment Department is to ensure the protection of the waterways and streams for the enjoyment and use of Spartanburg’s citizens. Approximately 14.3 million gallons of wastewater is treated daily from this department. 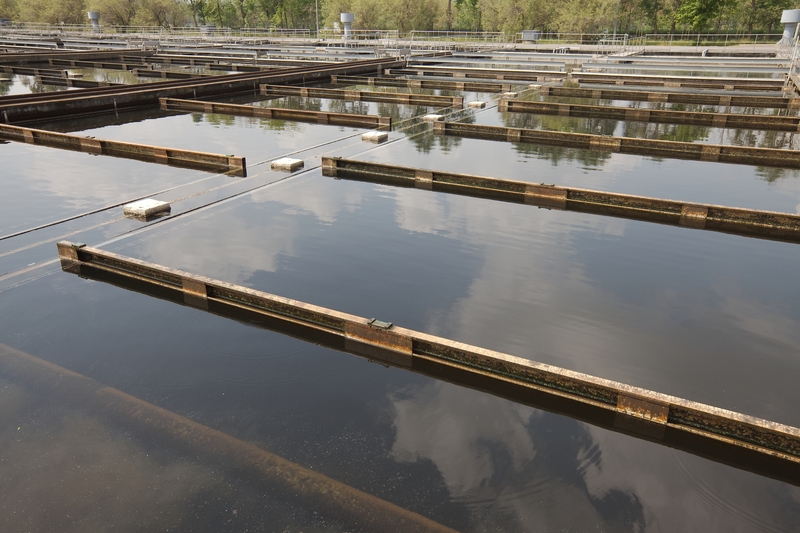 A dedicated team works in the areas of Operations, Industrial Pretreatment, and Solids Management that create the Reclaimed Water Treatment Department. A core area of the Reclaimed Water Treatment Department is Operations. The function of Operations is to receive raw wastewater from our customers through the collection system, clean it, and return it back to the environment. The operation of these facilities is a 24/7/365 job and requires constant oversight, attention and dedication. Both groups of operators spend many hours per day traveling to and from and operating these facilities to ensure compliance and efficient treatment. The treatment process typically begins with the removal of trash and heavy solids at the headworks where the wastewater enters the facility. The headworks is composed of a combination of mechanical screens, tanks, and pumps that remove grit, rags, plastics, trash and other materials not suitable for biological treatment. Next, the waste stream flows to aeration tanks where a delicately controlled mixture of oxygen, wastewater and bacteria cleans the water by biologically breaking down organic and inorganic materials that would be harmful to the receiving streams. After aeration, the water flows to settling tanks called clarifiers where the solids are separated from the clean water. The clean water is then disinfected with either ultraviolet light or chlorine to destroy pathogens and returned to the environment to be reused. Most of the solids are recycled to the aeration process to continue the treatment cycle, while a portion of the solids are removed from the process and sent to the Solids Management area. Solids that are removed from the process are sent to the solids handling area at Fairforest. The Solids Management program includes the collection and hauling of solids from all facilities, processing and conditioning of the solids for disposal/reuse and oversight of final disposal/reuse of over 14,000 wet tons per year. Solids that are sent to the Solids Management area are prepared for either landfill disposal or land application reuse- depending on operational and costing factors. Before biosolids are hauled to the landfill, water from the solids is reduced to form a cake-like material. This process is performed chemically and mechanically through the use of centrifuges or belt presses. The reduction in water is necessary to remove weight and mass from the solids to reduce transportation and disposal costs, based on weight and mass.